Come along on a wonderful Christmas Season trip to Music City U.S.A. 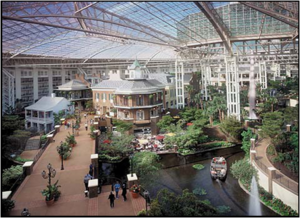 This great trip includes a two night stay at the magnificent Gaylord Opryland Resort and three outstanding shows: The General Jackson Showboat, Trace Adkins, and a very special Christmas concert at the historic Ryman Auditorium, featuring Amy Grant and Vince Gill. This fantastic trip will make your Christmas Holiday one you`ll never forget. Don`t miss it! Click here to view the Nashville Holiday Show Tour flyer for additional information!